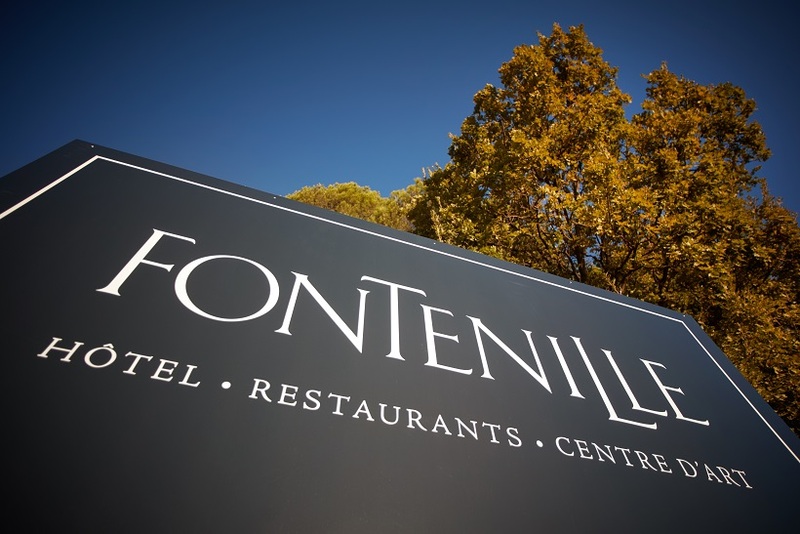 Domaine de Fontenille is situated in the hills behind Lauris, a village which forever seems to live in the shadow of its prettier sister Lourmarin. Take Lauris and plant it in almost any other corner of France, and the place would be feted, in the south Luberon it comes close to being ignored. 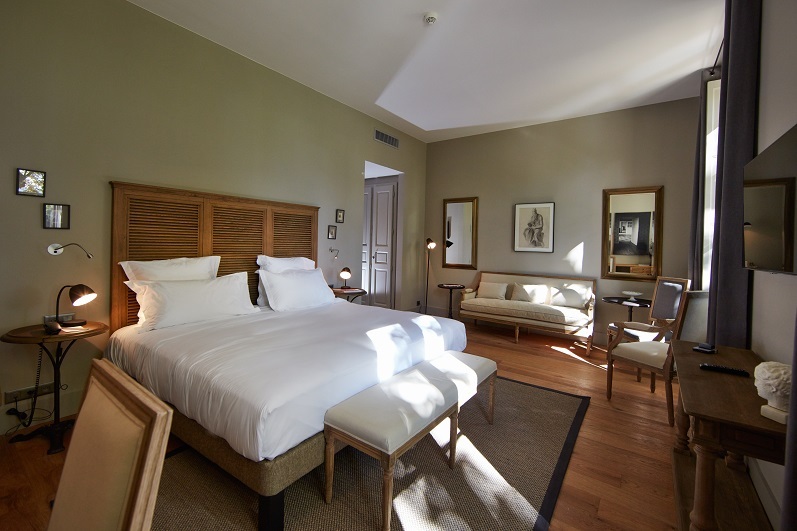 It’s not therefore the obvious place to locate a new luxury hotel. However the Domaine is incredibly special. 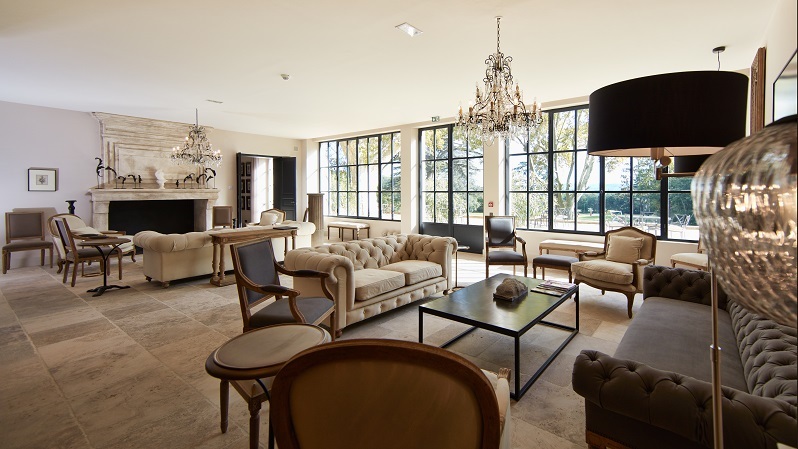 The first impression is one of space, of being in the heart of the Provencal countryside with direct access to the walking and biking trails in the nearby hills. The next thought is of the beauty of the architectural restoration. There’s a pomp and splendour about the place, a feeling of grandeur which fits naturally with the avenue of centuries old plane trees that stretch towards the shadowy silhouette of Lauris in the distance. 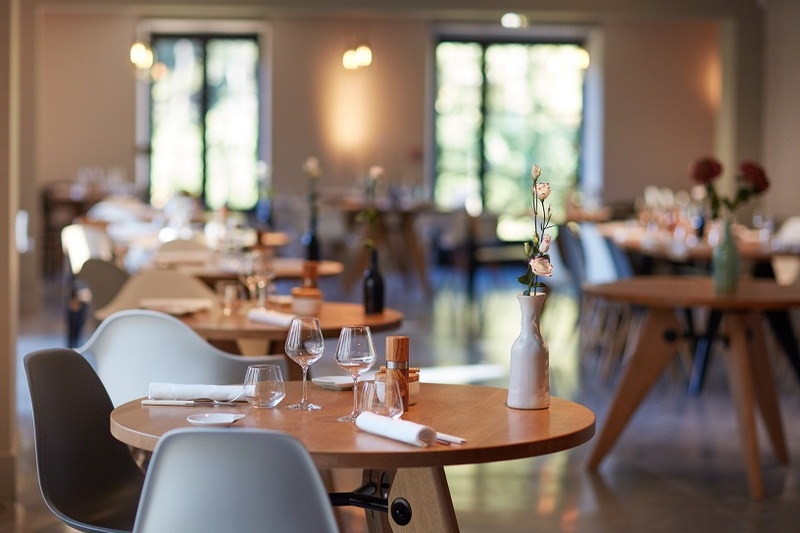 There’s a gastronomic restaurant headed by a Michelin starred chef (Jerome Faure), a bistrot, 17 rooms, a fitness and well-being centre, a heated swimming pool, extensive grounds and a vineyard. 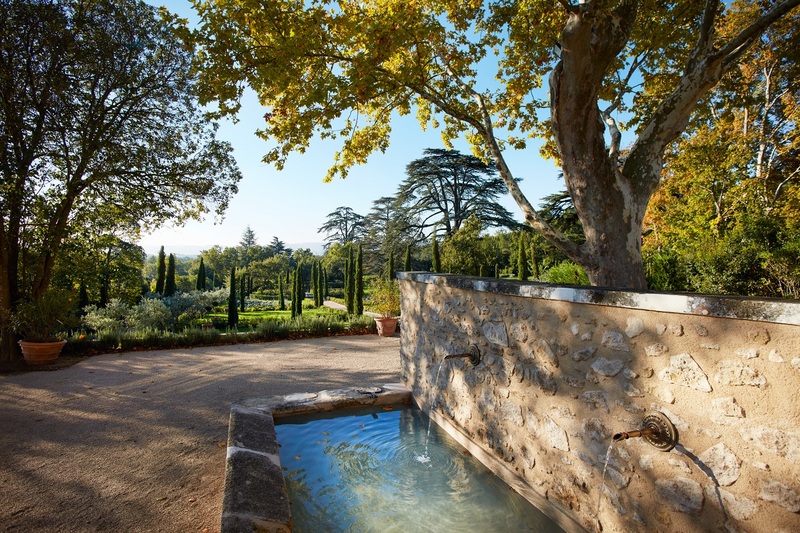 Above all there is a tremendous desire by the owners to make the Domaine really buzz. In summer there are open air cinema screenings in the grounds, live jazz evenings, and food truck aperitifs. In Autumn there’s the opportunity to participate in the grape harvest. Inside the decoration is pitch perfect. There’s a formal sitting room and library, all subdued greys, deep comfy sofas, and warm travertin stone floors. Up the stairs the Domaine is more challengingly modernist, with poured concrete floors, a minimalist cantine-like gastro restaurant, and an art-gallery in a hall with a triple height ceiling. Throughout, there are eye-catching works of art, and clever intricate lighting. 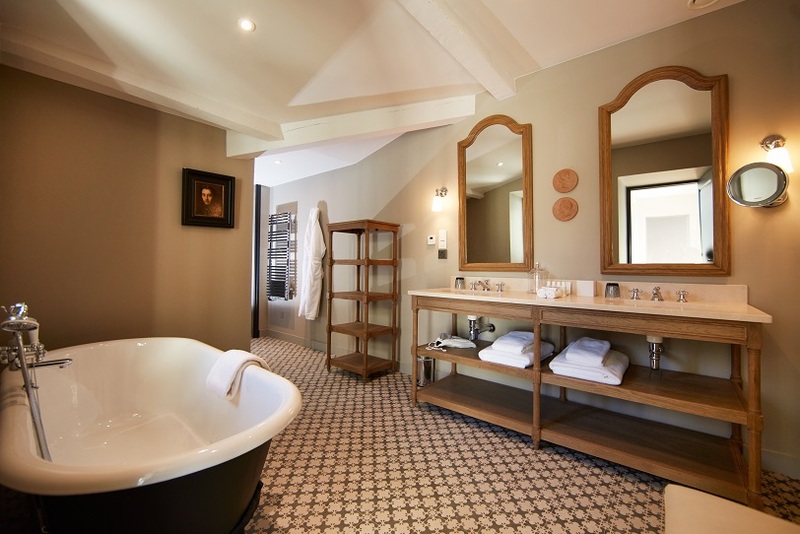 Bedrooms are large and luxurious with bathrooms sporting all the latest bells and whistles. It’s a place for a honeymoon, a romantic get-away, yet with the size of the grounds and the nearby activities also perfect for families. I wanted to book in there and then. 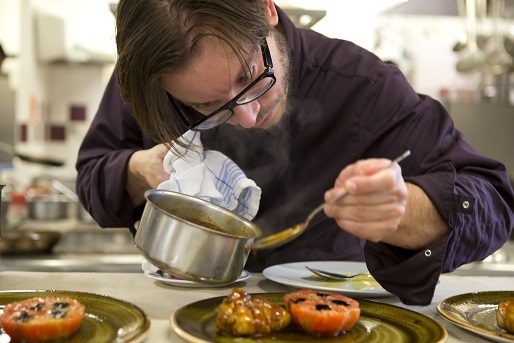 A three course lunch in the gastronomic restaurant is 30 euros, complete with amuse bouche and petit four. Diners can watch the chefs at work through the picture window onto the kitchen which dominates one side of the dining room. I ate hand-diced smoked salmon, scallops with chestnuts, and a calisson ice cream accompanied by an orange and carrot puree. 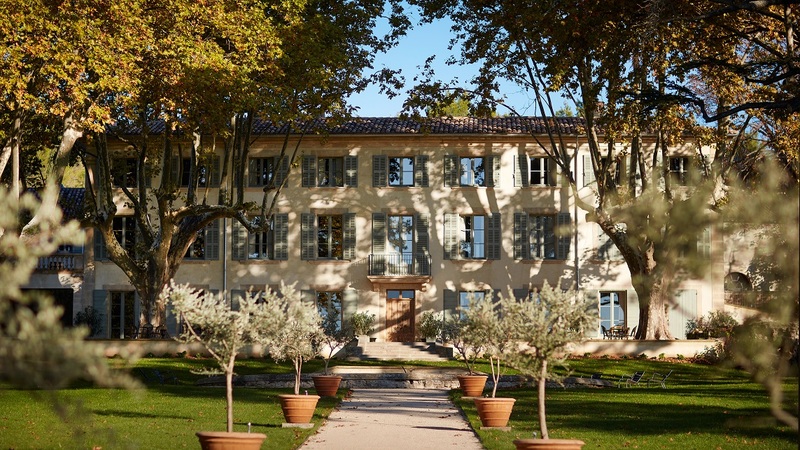 For the price and the experience of visiting the domaine, it was excellent. Although I am still not entirely sure about carrot puree as a dessert!